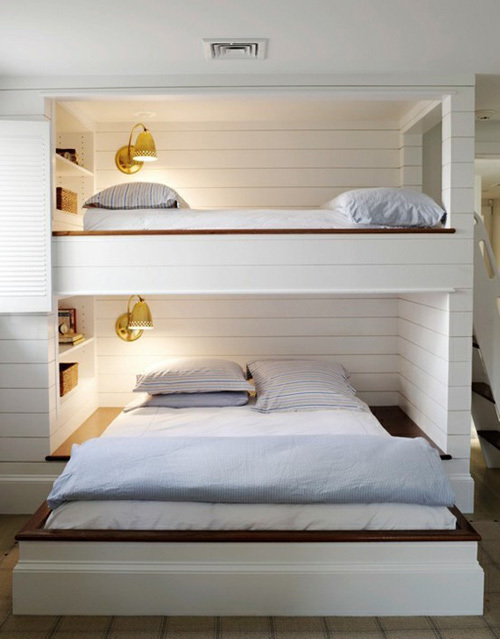 I love the idea of creative bunk beds for kids. There is just something fantastical about them. So creative and linear. Would love to wake up to that view. Yh2 Architect. This looks comfortable and totally a great use of space. Nice with the wood wall separating the two sides. Great colors! Design by John Maniscalco. bunk beds are totally magical. these are awesome. if only i lived in the first one… dreamy. Oooh I love that second one. So cute. And Happy Anniversary by the way! Me and my brother had not so stylish bunk beds when we were kids. They’re too much fun and pretty functional for small spaces! 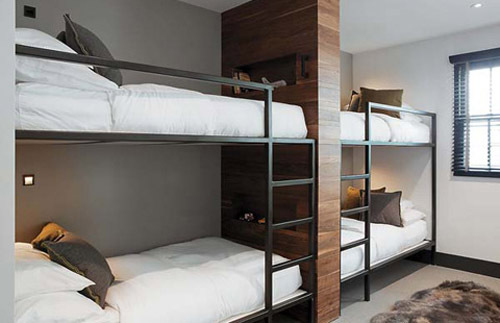 I never thought bunk beds could be chic until I saw this! no fair!! i want all of these! my favorites are the first and last ones!! so so awesome! !